The scorching summer heat, the dull monsoon season and the humid, sweaty weather is now over. It is time to cozy up, wear those stylish warm clothes and boots, have a cuppa of hot coffee and lazy around since the winters are here! As winter is almost here, one of the most common questions we have in our mind is, “how to have soft skin in winter”. For most of us winters is an amazing time of the year. But for many it is the time when the skin dries up, feels stretchy, the lips are flaky, feet are dry and scaly and the hair is frizzy. Not quite the look you opted for, right? Taking care of your skin during winters is completely different than your skin care routine during the summers. But it isn’t impossible. Here are a few hacks that you can try how to have soft skin in winter. Yes, you read that right. Hot showers can dry your skin and taking a long hot shower, though it may sound inviting, can ruin your skin texture. So keep your shower time limited to 10 or 15 minutes a day and make sure to use lukewarm water instead of hot water. In summers you clean your body with soap or gel everyday but winters do not require this as everyday use may dry your skin more. A daily shampoo ritual can make your scalp dry and prone to dandruff. Thus using soap twice a week should be fine and same goes for shampooing. No, the moisturiser will not wash off completely when you take a bath. Instead it will prevent from your skin from drying out after a hot bath. This will keep your skin soft and smooth and you can reapply after a bath as well. Using a moisturiser on your body is one of the best ways on how to have soft skin in winter. 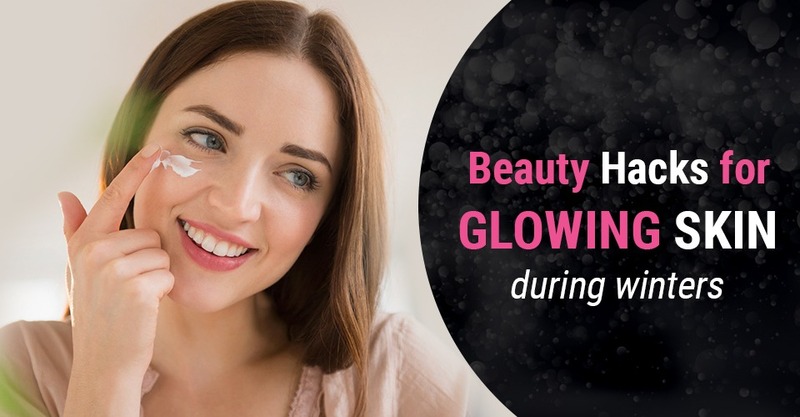 You do not have to spend hours and money in a salon to get that glowing winter skin. All you need to do is use these kitchen items- honey, brown sugar and olive oil. Mix these and a body scrub is ready for your to use before a bath. Honey and raw milk also can be used as a perfect face mask for the winters. Massage this onto your face and neck, leave for 20 minutes and wash off with lukewarm water. This prevents dryness and helps keep your skin soft and glowing. Another great overnight mask is 1 teaspoon of honey mixed with 1 tablespoon of tomato. This mask is great for the skin if used once or twice a week. We forget to moisturise our hair during winters. It is the hair and scalp that accumulate dust when we go out. Shampooing everyday will make the scalp dry. Split ends are very common during winters. Thus applying coconut oil, at least once a week, overnight will help your hair keep that moisture intact. Coconut oil is rich in fatty acids and proteins that help keep hair hydrated and soft during winters. Your toothbrush can be used to scrub your lips. The easiest hack for your lips is to apply some lip balm on your toothbrush and rub it over your lips in circular, slow motion. A brown sugar and olive oil scrub can also be used to gently scrub those lips and make your pout soft and smooth. If you are wondering how to have soft skin in winter, always keep a hand moisturiser in your bag. Hands are the ones that dry out very soon as they do all the work. Your hands are vulnerable to the environment and get dry really fast. Add a hand cream to your skin care regimen. Apply it every time you wash your hands with soap. Always apply a hand cream before going to sleep at night. Also read: How to Take Care of a Newborn in Winters? Feet tend to dry up too and sometimes cracked heels during winters can cause too much pain and trouble. You can dip your tired feet in lukewarm water mixed with essential oils or olive oil or almond oil at night. After this you can apply a good moisturiser on your feet. If applying a moisturiser after a bath, you should wear socks to keep the moisture intact. Use a pumice stone in the shower to remove dead skin. You can also add a few drops of Vitamin E liquid from the Vitamin E capsules to your feet moisturiser and leave it overnight to work its magic. Now you can fight off dry skin while you sleep. Using a humidifier in your bedroom add moisture back in the air that can dry out during the winter months. The mist helps replenish the air that has become dry due to the winters. Humidifiers help skin hydration and thus it becomes an investment to get one this winters.